Her wealth of vitamin A and linoleic acids, ensures that this oil stimulates and refreshes the skin! The apricot kernel oil - Prunus armeniaca - is suitable for both the body and the face. She is rich in vitamin A and linoleic acids. She is very penetrating: the face will not shine after application. In the morning and evening use, instead of a cream, it stimulates the skin and refreshes the complexion. Although very rich in the cosmetic field, it is a good filler for the essential oils, also suitable for both superficial operations and deep workings. Can even be used as a protection after sunburn. 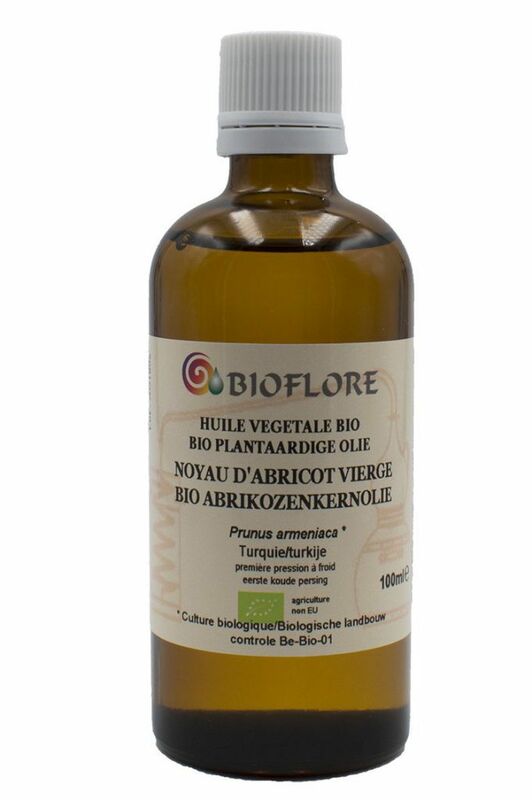 Vegetable oil from the first cold pressing, from organic farming: controlled by Certisys-Be.